You are here: Home » Social Security Disability » Facts » Will my benefits increase because I became disabled while collecting early Social Security Retirement benefits? Learn how, depending on your age, you can get a higher Social Security benefit if you become disabled while receiving Social Security Retirement benefits. If you become disabled while receiving Social Security early retirement benefits, whether or not you receive an increase in benefits depends on when you become disabled. Social Security does not pay disability benefits for the first five full calendar months of disability, so you would not get an increase during those months. You would receive an increase in the sixth month if the sixth month is before your Normal Retirement month. For many decades full retirement age was sixty-five. In recent years, the Social Security Normal Retirement Age was increased. The increase is being phased in so that, depending on the year you were born, normal retirement age is sixty-six with future retirees born in later years having to reach sixty-six and a half or sixty-seven for full retirement. The gradual increase in age has been put in place because people are living longer and the Social Security Administration needs to reduce its financial obligation. If you don’t know your Social Security Normal Retirement Age, you can find out by calling the Social Security Administration at (800) 772-1213 or by looking it up on their website, www.socialsecurity.gov. If you become disabled more than twenty-nine months before your Normal Retirement Age, you will become eligible for Medicare before your full retirement age. Our article If I Am Approved for Social Security Disability, Will I Get Medicare and Medicaid Health Insurance? offers more information about entitlement to Medicare health insurance. 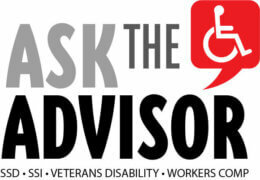 Here are two tips for counting the unpaid disability waiting period. First, the month in which you become disabled does not count as one of the five unpaid months. The second tip is an exception to the first rule: If you become disabled on the first or second day of a calendar month, Social Security will count the month you became disabled as part of the unpaid waiting period. If you receive disability benefits after receiving reduced early Retirement benefits, when you reach your Social Security Normal Retirement Age there will be another change in your benefit amount. At that time, the Social Security Administration will switch you back to Social Security Retirement and your ongoing benefit typically will be less than your disability benefit, but more than your earlier reduced retirement benefit. Must I stop working before I can apply for Social Security Disability (SSD)?